Marko brings over 20 years of experience from Professional Sports Field. As a Wellness and Sports Medicine professional Marko has worked with the highest level athletes and teams in the world. He was member of the NHL team Los Angeles Kings medical staff (Athletic trainer and Sports Therapist 2000–2003) . Marko was a member of the NBA team Los Angeles Lakers training staff. (Athletic trainer and head Sports Therapist (2003–2016). 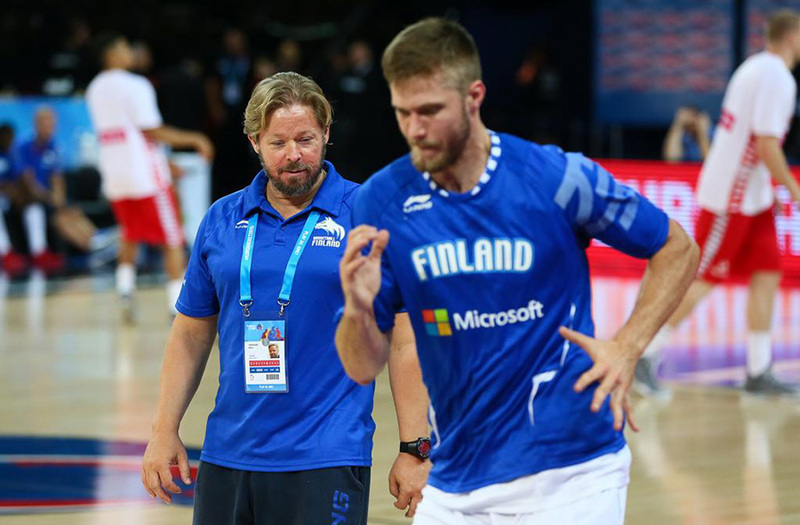 He serves as a Head Medical trainer for the Finnish National Basketball team Marko is an lecturer at Olympic Training Center Kuortane Finland and Performance Specialist at Olympic recearch Center Kisakallio in Finland. His programs are well regonized in USA, Australia, Russia, Czech Republic, Estonia, Thailand and Finland. He served as a Head of Physical Training For FC Inter Turku on season 2016–2017. Currently he is Director of Coaching at Elite Sports Clinic Neo/Mehiläinen and Sports Hospital Mehiläinen. Marko is a owner of a Performance training company MYC-Training. Numerous NBA, NHL NFL, UFC and Olympic atheletes have used his services to perform better in their field of sports. Marko is an owner of a performance gym Elite Trainers in Helsinki Finland and a Founder of Healthy Boss corporate wellness program. To make sure to stay on the top of his game globally Marko has two training facilities that focus on Athletes movement in Australia one in Brisbane and one in Sydney. Several leading sports and wellness companies have used Marko as an advisor and consultant to test and improve their products. For example Symbio, Beddit, Suunto, Myontec, Hyperice, Vertimax, Occusweep-Sports, TE3, Sportiq to name a few. He also works closely with Finnish Consulate of Los Angeles and General Consul of Finland to help Finnish wellness companies to reach US markets. He is an author of a book “The Finn, Trusted man”, TV-Personality and a public speaker. Being the only person ever to have won a national Championship in the winter, summer, and indoor sports in his native country Finland, he brings not only the passion for healthy life but the winning mentality to what ever he is part of. Marko is a Performance Specialist and Athletic Trainer, Certified Speed Coach, Certified Biomechanics Coach and a Certified strength conditioning specialist. He is a Certified Instructor for Physical therapy in State Of California. Marko is also a Master educator of Wellness specialist program, sponsored by Olympic Committee and the Government of Finland. Marko and his family reside in Turku, Finland.